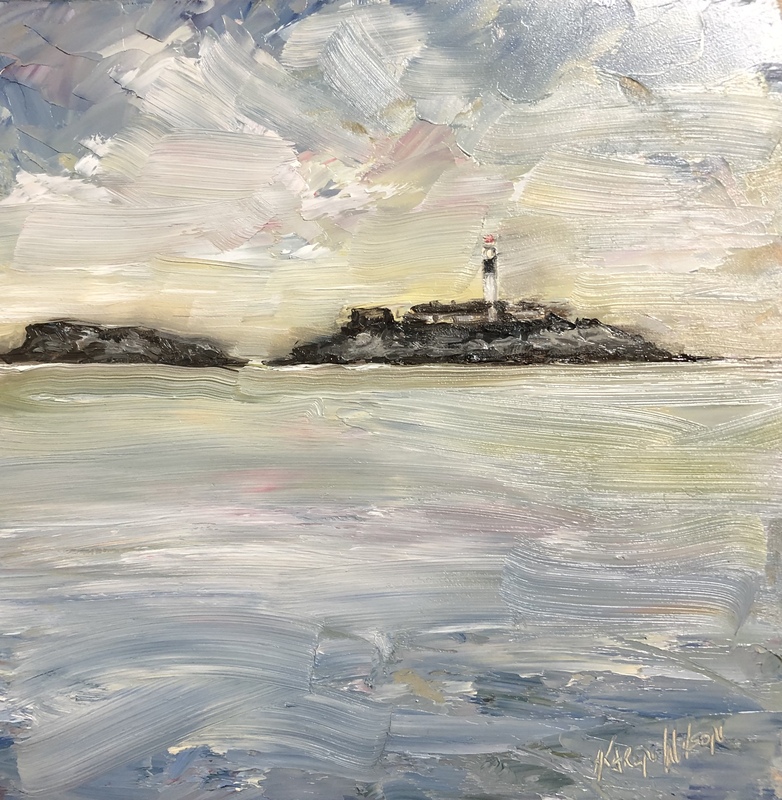 Today’s painting is of Rockabill Lighthouse off Skerries, title “The Rock And The Bill” 6″ x 6″ oil on panel. Rockabill is a group of two islands “The Rock” and “The Bill” situated about 6 kilometres off Skerries south beach, County Dublin. The two granite islands are separated by a channel about 20 metres wide. On “The Rock” there is the lighthouse with several walls and outbuildings, built in 1860 from granite and limestone and automated in 1989. Rockabill is an important seabird breeding island, especially notable for its terns, and is a special protection area under the European Union Birds Directive and since 1989 has been managed by Birdwatch Ireland.